With the full colour spectrum now readily available, using the world-famous RAL system, transforming spaces has never been easier or more enjoyable. Whether you are a keen DIYer or a professional, you can take pride and pleasure in creating brand new aesthetics that completely revolutionise and rejuvenate homes & businesses and, by natural extension, the lives of the people who live and work in them. One of the principal products that can be turned into nothing less than an artistic medium with the addition of colour is silicone sealant, which is so incredibly versatile that there is not a room in the house in which it cannot be used. Come to that, the tough, intelligent formula of the sealant is so durable that it can be used outdoors as well so once you start then there really is no telling when you might stop... Don’t say we didn’t warn you! When you look at the RAL colour menu, it can seem a little daunting at first. The entire spectrum is at your fingertips and every colour calls to you in its own voice, inspiring you with so many ideas that you aren't sure where to start. AB Northern are here to help you focus your thoughts with some colour ideas for the two most popular and welcoming rooms in any home: the kitchen and bathroom. The kitchen is, or should be, a temple of hygiene. The colour that best reflects this is white but where is the fun in that? The place where life-sustaining food is lovingly prepared is the true heart of the home and many people are now making their kitchens as personalised as their bedrooms, reflecting their personality and creating a hub for happy social times. The colours of nature are perfect for creating a rustic look in the kitchen. Green, with its calming influence and welcoming appeal, is one of the best colours to use and there are several tones to choose from, including Pastel and the deeper, more vibrant Olive. A good general rule is that smaller spaces need lighter colours while big rooms can be made more cosy with darker, richer tones. 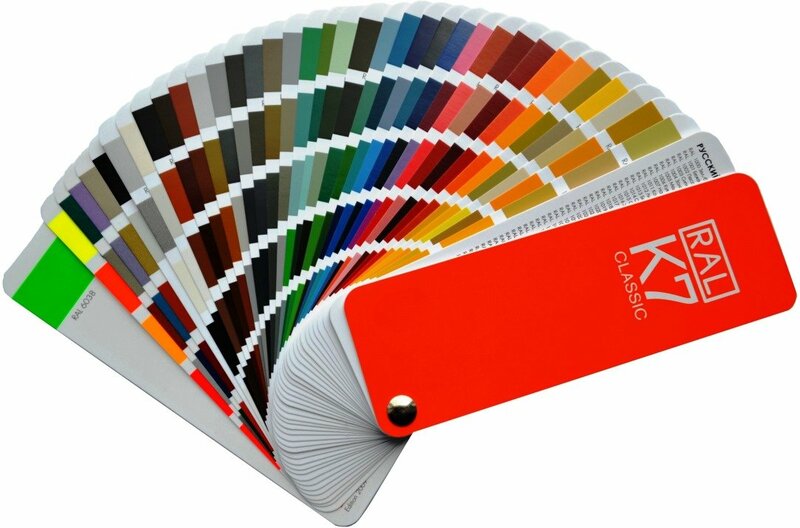 Check out the RAL Colour Menu, along with a list of the products that it is compatible with. Change your space, colour your life.